Y 3/c Don L. Wells, son of Mrs. F. H. Wells, graduated from Manitou High School. 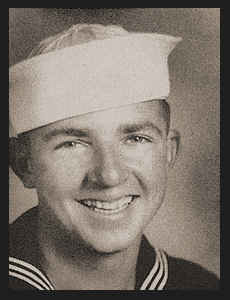 Entered Navy in Aug., 1943, trained in Oceanside and San Diego, Cal. ; went overseas in March, 1944, served in the Marianas and the Hawaiians; is now on duty in Saipan.